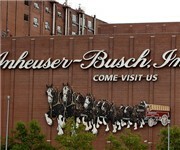 How Would You Rate Anheuser-Busch Brewery? 1. Does the brewery have a unique selection of beer styles? 2. Does the brewery offer seasonal brew? 3. Is there a brewery tour, is it free?